When you think about workplace violence and trauma, you may consider industries such as the emergency services, armed forces, security, oil and gas, and those working in countries where there is political instability or extreme environments. Or the transport, aviation and maritime industries who encounter serious accidents, organisations that handle cash and valuables who face violence and robberies and those providing social care, health and education for whom sadly, assaults and harassment are increasingly common. Annually in the UK, there around 698,000 incidents of violence at work. In the US, a mass shooting occurs almost daily with 70% of these occurring in businesses or schools. Nearly 2 million Americans are the victim of violence in work each year. 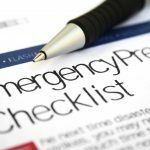 Business Continuity professionals are beginning to reflect these threats in crisis management plans, but managing the impact requires skills in both managing a crisis event and managing the psychological impact on people. KRTS Power to Respond® helps organisations to meet their duty of care to employees by providing immediate psychological support and helping managers and colleagues offer the right level of care. ISO 22330 Managing the people aspects of business continuity, sets out clearly the standards that organisations should be working towards when it comes to supporting their employees after a crisis, trauma or emergency situation. KRTS Power to Respond® rises to the challenge of meeting this as an effective (for all) solution. 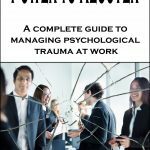 The Power to Respond app is an incredible resource that finally gives employers AND employees the tools and resources they need to guide them through both the short and long-term recovery process following a traumatic event in the workplace. As a crisis management professional and advocate for mass attack survivors, I believe this useful app is needed now more than ever and should be an essential resource within any organization’s ‘crisis management toolkit’. Thank you to KRTS International for developing this timely and much-needed app!